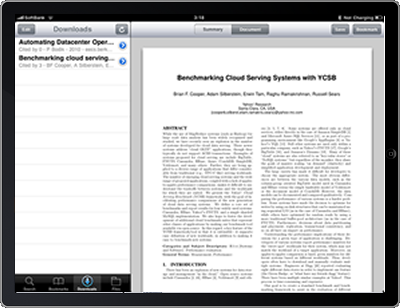 iScholarReaderHD is a specialized document viewer for research papers using Google Scholar service for iPad. 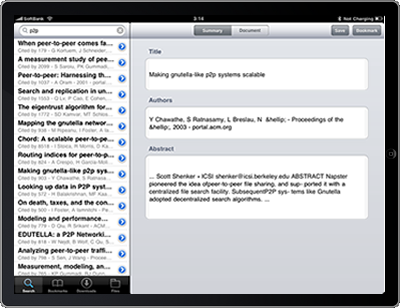 Using the application, you can search, bookmark and download the research papers on your iPad. 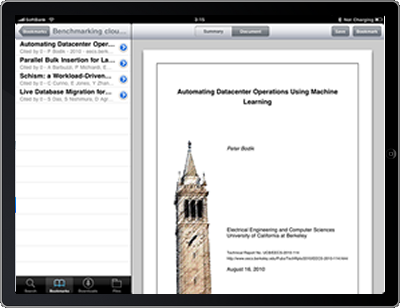 The tiny version is released as iScholarReader for iPhone free. Please get the free version if you want to check the functions in more detail. Using the search box, you can find the associated research papers from Google Scholar. 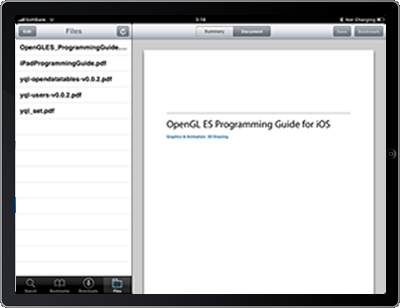 Then you can see the documentations, create the bookmark and download the documentation files into the local storage. Using this menu, you can see the created bookmarks. 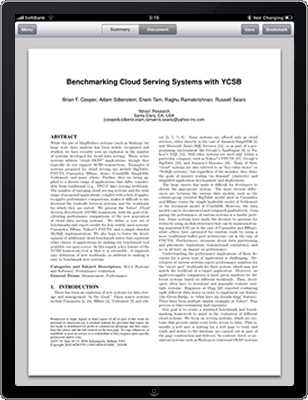 The bookmarks has only the research paper information without the documentation file, then you have to connect WiFi or 3G networks to see the documentation. Using this menu, you can see the shared files which are transferred from your computers using iTunes. Please check iPad: About File Sharing to know the sharing function in more detail.